At NVP Photo Video production, wedding photography and videography are our specialty. Our creative team have a focus on wedding photos, videos and drone throughout Tauranga, Hamilton, Auckland, Coromandel, Rotorua and Taupo. With years over 15 years in the wedding photography and videography industry, we have the experience to capture amazing images and films for any couple, in any condition, in any part of the country. If you are looking for passionate, professionals to join you on your big day, then look no further. We offer very competitive rates and wedding packages when you add video to your photo package. We are full time professionals in the business so your wedding day is in very capable hands. We want an enjoyable, fun and memorable experience for you both and this will reflect in your images. What really sets us apart is our focus on natural and creative photos and video. We are unique and don’t charge travel travel to our clients wherever their wedding between Auckland and Taupo. Our information packs are complete and no hidden costs. Whether your wedding is in Tauranga, Auckland, Coromandel or Taupo, travel is free. There isn’t a single venue in Tauranga we haven’t worked with. We are experienced in all the locations Tauranga offers for photo shoots. 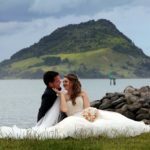 We are available for photo and video at the top wedding destinations in Rotorua. Auckland, Waiheke Island, Tauranga, Taupo, Rotorua and Coromandel. Not only this, but we also travel to surrounding areas including; Mount Maunganui, Wanaka, Hamilton, Whitianga, Tairua, Cathedral Cove, Pauaunui, Whangamata and Hahei Beach. Rotorua is rich in photo opportunities. In particular we love the Redwood Forest, Blue lake and Lake Tarawera. Because we work in top wedding destinations regularly, it gives us a good experience with the majority of wedding venues. We enjoy a lovely relationship with many venues and wedding coordinators. Why? Because we are professionals, make sure to keep to other time line and represent their venue well with stunning photography. Taupo is fantastic when it comes to locations for wedding photography. This includes the secret spots only known to a select few and lucky for us, we are one of them. Information like this will keep your wedding images and films fresh and unique. Classics photos with Huka Falls are a must but there is far more to Taupo that one river. The gardens are stunning at certain times of the year and we have some great locations that show case the lake and views to Mount Tongariro. There are many stunning and easily accessible wedding locations in Auckland. 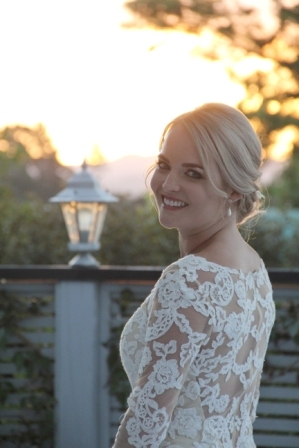 With a passion for the sea and Hauraki Gulf we strive to add these to your wedding images. Auckland boasts delicious views and backdrops. Half the hard work is already done for us. To sweeten the deal even more, we offer free travel. For those wedding destinations a little further from home, we offer competitive travel rates. Oh the Coromandel. The beauty is abundant. Golden beaches and lush green forests are abundant. We particularly love a few select wedding venues in the Coromandel. Here are some raves from recent testimonials from our awesome bride and grooms. We don’t list them all as we have too many, we try to keep only recent testimonials so you know our quality work is always up to date. Samantha and Ants – Hahei Beach wedding photography and video on the Coromandel. We would definitely recommend Nuance photography for anyone looking for a laid back couple that will bring all the laughs on your big day. They made us feel at ease with the whole photography process and were so helpful for all my questions I had leading up to the wedding, especially since we live in australia so I had a lot! My favourite part about using Nuance was the photos they recreated from pictures I had found on Pinterest and the amazing highlights video of the whole day. We had a really big wedding party (13 total) and they got some amazing group photos of us all. I couldn’t imagine spending our big day with any other photographers and will continue to recommend them. Victoria and Robert – Hamilton wedding photography and video.My Husband Robert and I were blessed to have Nuance photography to capture our special day, they were recommended to us by a family member who had used them for her wedding. I have to say, they did not disappoint!! The images and video we received were truly a work of art, you can tell these guys have passion for what they do. My Husband hates being in front of the camera but they put us both at ease and made us feel comfortable. Larissa and David – Tauranga wedding photography & video. Nuance Photography are the perfect team, we are so pleased to have chosen them for our wedding. They made us feel so relaxed amongst the hype of our big day and nothing was too much trouble. We couldn’t recommend Nuance enough, they were amazing!! To make things easy for our clients we like to keep our package options simple. Having no hidden costs, no copyright issues and no stress, our packages are great value. Our couples can expect a totally fun, relaxed and natural wedding photography and videography experience. In order to capture a dynamic and creative end product, you need a dynamic and creative team that will put you at ease. Our team have a unique, creative, natural and fun edge to their photography. Couples who have commissioned us can boast stunning wedding pictures and highlight videos. Forget the posing – we want you to be you, be yourselves, be relaxed and so we can capture the best of you both. Maximise your photographer and videographer? We are at the cutting edge of film and wedding photography and we have loads of fresh and new ideas to ensure we capture timeless, cinematic highlights. Sometimes we can pull images from the video itself as another option for additional photos. This can give you the benefit of a second or third shooter for your photos. We find this process really does make our clients end product that much better. As we do not miss any photo opportunities as this style ultimately gives you a much better coverage of the day. What makes us different is we give you all your photos, yes all of them including your bloopers. We like to think of these as your negatives. Back the up on a hard drive for safe keeping so none of your precious moments captured throughout the day go amiss. Another huge part of our ethos is that we do not retain copyright of your photos. Basically our big belief is that you paid for them – so they are yours! They are yours to upload to social media, print, put in an album or on canvas. Basically, any way you choose to display them is absolutely up to you. A traditional wedding photographer may sell you a package that includes up to 100 images. This means that you do not own the copyrights to your photos. If you want extra prints, photos or enlargements you may have to pay extra. Although this can be something that has become considered normal in the industry, it’s just not us, nor is it NZ Law. We like to hold a joint Copyright so we can promote ourselves and you have no additional costs. Adding to our repertoire, we also shoot commercial photos and video for companies looking for an advertising edge. If your business is seeking a bespoke look to your advertising, then look no further than NVP photo, video production. To find out more about our work, see it for yourself and check out our gallery. Our online gallery is constantly revolving with up to date weddings. To have us join you on your wedding day, email us at info@nuancephotography.co.nz for an information pack, price list and availability on your date.